Having a criminal record can be a severe burden on your life. Both misdemeanors and felonies can appear on your criminal history… for life. That means employers, landlords, and others can access past convictions and guilty pleas. Additionally, you may have to disclose convictions and guilty pleas when applying to school and elsewhere. However, our judicial system has established a means to give you a second chance. It recognizes that situations change and people rehabilitate. This process is called “expungement”. PC § 1203.41 (used when you have a felony – but never went to state prison. (*County Jail is NOT State Prison. PC § 17 (Used to reduce a Wobbler Felony to a Wobbler Misdemeanor. This penal code can only be used if the crime is a “wobbler” ie. can be charged as either a felony or misdemeanor). Often employers, landlords, and other applications ask you if you have ever been convicted of a crime. If you say “no” and your crime has not yet been expunged, this false answer may amount to perjury, fraud, and other serious criminal offenses. However, if you get your crime expunged, you may legally answer “no” to these types of questions when applying to a PRIVATE employer. Notice the ALL CAPS for the word private? That is because certain applications (including government employment) requires that you disclose the conviction and expungement. It may be advised, in the interest or transparency, that you inform interested persons that you had an expunged conviction dismissed in the interest of justice. WILL THE CONVICTION REMAIN ON MY CRIMINAL HISTORY IF IT IS EXPUNGED? This is a common question. Unfortunately, an expungement does not completely erase the conviction or guilty plea. Criminal history databases including FBI/ DOJ/ California/ Bureau of Prisons (just to name a few) can access your criminal history. However, your expunged conviction or guilty plea may still appear – it will show the charge was dismissed. Commonly, the legalese used is “dismissed in the interest of justice”. Generally, yes. However, of course, there is a caveat. A judge will likely be more careful when granting felony expungements. Primarily, because the crime is more serious. One strategy I commonly apply to my expungement practice is the PC17 petition. 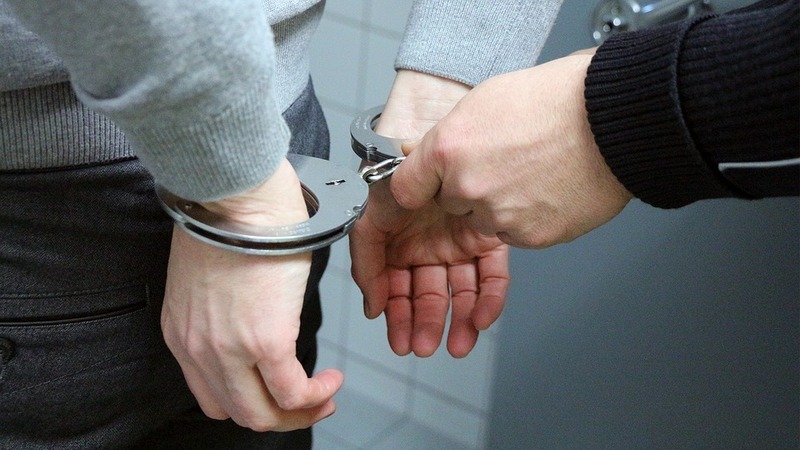 If the felony is a wobbler and can be reduced to a misdemeanor – I argue for a PC17 reduction of the felony to a misdemeanor before arguing for an expungement. This is a strategic decision, because a judge may be more likely to dismiss a misdemeanor than a felony. AM I FREE OF ALL RESTRICTIONS NOW THAT MY RECORD IS EXPUNGED? The short answer is no. The government can use a previous guilty plea/conviction against you in many circumstances. For example, expunged crimes may be used against you for: purposes of citizenship and immigration, harsher penalties for subsequent DUIs, used as “prior enhancements” for subsequent crimes, DMV to revoke or suspend a driver’s license, holding public office, applications for government issues licenses, applications to possess firearms, etc. CAN AN EMPLOYER ASK ABOUT A CONVICTION IF IT HAS BEEN EXPUNGED? Good news! Generally not. Under Labor Code § 432.7 employers cannot inquire into (aka ask about) arrests that did not end in conviction or convictions that have been dismissed. That’s right, the private employer cannot inquire into your expunged conviction. If the conviction comes to their attention, they are prohibited in considering that factor in hiring, firing, and promotions. This is where the law gets a bit more complicated. Specific crimes may not legally be expunged. It is highly recommended you read the statues listed above, thoroughly or consult an experienced expungement attorney to assist you. AM I DISQUALIFIED FROM AN EXPUNGEMENT IF I DID STATE PRISON TIME? If you served state prison time (not county jail time) the process is slightly different. Generally, you must file a “Certificate of Rehabilitation” instead of the 1203.4 Petition described above. CAN I GET AN EXPUNGEMENT IF I AM STILL ON PROBATION? One of the bright line rules of clearing your record, is that you must have successfully completed all terms of probation. Why? This shows the judge you have been rehabilitation. In other words, it shows you have made it through a period of time after the guilty plea or conviction with no additional problems. What are your terms of probation? This can include a jail sentence, ankle monitor, work project, AA meetings, drug tests, counseling, court fees, fines, restitution. Still on probation? All hope of expungement is not lost. You may petition the court to terminate your probation early, thereby qualifying you to expunge your crime. This, of course, is more difficult to obtain than a simple expungement – and generally requires knowledge, skill, and experience with such petitions. While you may be able to successfully petition the court on your own, an expungement attorney will be able to articulate and advocate in a manner giving you a greater chance for a successful expungement. DO I NEED AN ATTORNEY FOR AN EXPUNGEMENT? In my law practice, I have seen people represent themselves on expungements both successfully and unsuccessfully. However, expungement law is complicated. If you read the 1203.4 “expungement” statute, you will get an idea why many folks choose to hire an attorney. The court fees alone, for the expungement motion may cost you anywhere from $60 to $150. If unsuccessful with the motion, there is generally a waiting period before you can reapply and the odds of the judge granting subsequent motions may be diminished. If you hire an experienced attorney, the attorney will draft a petition for dismissal, order for dismissal, andattached declaration. Also, the attorney will gather proof of completion of probation including receipts for all fines and restitution. Next the attorney will serve he papers to all necessary parties and orally argue on your behalf to a judge in a court hearing if required. Do you have a criminal conviction in Sacramento, YOLO, Placer, Eldorado or surrounding areas? Is your criminal history preventing you from obtaining housing or a job? Are you worried that employers will see that you have a past conviction? Do you want to clear your criminal history to give yourself a fresh start and a clean record? If you answered yes to any of these questions, our Sacramento expungement attorneys are here to help. Our Criminal Defense Law Offices is dedicated to giving you a second chance. Our Sacramento Criminal Defense Expungement Lawyers and DUI Expungement Attorneys have helped many people clear their criminal record. Felonies and misdemeanors can be successfully expunged. If you are applying for a job, loan, or looking to rent a house - do not let your criminal history hold you back. Expungements can give you a clean new start. Many felony charges can be reduced to misdemeanors or even expunged. DUIs can be embarrassing and stay on your criminal record for life unless expunged. How do I expunge my criminal record in Sacramento? An "expungement" is the legal term used for the process of cleaning up your criminal record. In short, the process reopens your criminal case and withdraws your previous plea or guilty verdict, and dismisses the charges - then re-closes the case. Basically, you are no longer a "convicted person". Expungements require filing a motion with the court and a court hearing at the discretion of the judge. You can try and do this process without legal representation, however this not generally recommended. Our Expungement lawyers in Sacramento are skilled in writing the expungement motions with tactical skill and use surrounding evidence to bolster your odds of getting the Sacramento expungement granted. Our expungement attorneys in Sacramento are veterans in the courtroom and orally advocate to the judge during the expungement hearing that you deserve a second chance and fresh beginning. Generally, you are able to tell your employer or landlord that you had a criminal case which was dismissed in the interest of justice. There are various exceptions to this rule, so it is important that you speak with an experienced expungement attorney. Pursuant to California Labor Code (Lab) section 432.7, employers cannot ask about the did not end in conviction, convictions that have been judicially dismissed, or about any diversion or similar programs. If the employer is aware of any such arrests or programs, they cannot use this information in hiring or promotion decisions. Out office completely assists you in this process. We file a detailed petition on your behalf including exhibits, personal statements, and character letters if necessary. Our law offices fight vigorously to help you put the past behind you and start a new chapter of your life - free of criminal convictions.